This is the fourth report in the Connected World Market Insights Series. A Raspberry Pi Model B+ Board costs $38.15 plus taxes and shipping. These credit card–size computers can be connected to a PC; they are designed for people who want to learn programming. The Raspberry Pi is also capable of interacting with the outside world (that is, the physical world) through a general-purpose input/output (GPIO), a pin that enables the board to be interfaced with sensors, motors and a plethora of other electronic devices. Why are we talking about Raspberry Pi? Because you could use one to prototype your next Internet of Things (IoT) project. As seen on YouTube and Vimeo, thousands of “makers” (also known as hobbyists)—those who build new things, often electronic devices—are building new IoT products. These products include step-activated keyboards, DIY air-quality sensors, heart-rate monitors, and ambient light for all your gaming needs. Sensors, wireless technologies and microprocessors (like the Raspberry Pi) are available for very low prices. Slowly, connectivity is being commoditized as well. The ingredients needed to build the hardware of the IoT are mostly accessible. Most makers and hobbyists creating IoT products at home will not become the future companies of a connected world. However, by trying different components and experimenting with technologies, they will help create and develop the type of products and business cases that will constitute the essence of IoT. Conceptually, the Internet was not designed to isolate information, but to connect it and make it available—as a result, we live in a world of constant security threats and cyber attacks. In that sense, the IoT is no different from other types of online activities. It is to be expected that, with the vast number of devices that will be connecting to the Internet in the coming years, the vulnerabilities of digital communication (already exploited to attack networks or steal personal information) will only increase. On top of traditional cybercrime, the kind of attacks we may see in the future will change with emerging technology. For example, devices placed in remote locations to monitor weather or geographical conditions could become new targets. Cyber attackers might try to get unauthorized access to devices left out in the field, or organize denial of service (DoS) attacks against devices with the intention of reducing their battery life, rendering them useless. More connected devices means more open ports, and therefore more exposure to networks—giving companies and users increased exposure to threats. Also, IoT products are designed and created using a variety of technologies, which makes it extremely difficult to solve security problems simply by patching firmware (think of every time you update your laptop or smart phone—now multiply that by 10). There are thousands of manufacturers building new sensors, monitors and smart devices using hardware from unknown (or at least hard-to-track) vendors, which increases exposure to other threats. As a result, the traditional approach to cyber attacks—including the release of patches to fix software code—might prove useless in this new scenario. If security in the IoT cannot occur at the device level, it is possible that the solution is at the network level—protecting the connection so businesses won’t need to protect the devices. However, there are already some challenges in this approach. Although the IoT seems like an entirely new market, in reality it’s more of a combination of old and new technologies, which has a large impact on security. According to Gartner, “Each use case risk profile has specific requirements that may result in the use of old platform and service architecture with a new technology ‘overlay’ to improve performance and control.”6 This characteristic of IoT means that security will be built by merging existing and recently developed methodologies. Securing networks has become more urgent than ever. Networks are usually considered weak points in the architecture of the web, and old problems are resurfacing thanks to increasing number of connected devices. For example, IPv4 (the Internet protocol that conducts more than 90% of Internet traffic) is close to exhaustion. The new protocol currently in development, IPv6, will provide more IP addresses to allow more connected devices, but the implementation has presented some troubles. “With IPv6, there are still a lot of holes that hackers will discover over time [and] once hackers sink their teeth into it, they’ll probably find a lot more things that could potentially go wrong,” Aviv Abramovich, engineering manager at Check Point Software Technologies, explained on ZDNet.7 Some vulnerabilities and issues that were removed from IPv4 have reappeared in the deployment of IPv6. In practice, though, it is hard to evaluate the effectiveness of standards, especially considering that the entire scope of the IoT has not yet been revealed. There are still too many makers and thinkers working, testing and experimenting with small chips (like those using the Raspberry Pi), electrical components and new services to have a clear picture of the entire set of security requirements. Are we sending privacy to the IT museum? So what happens to users data in the IoT? If a consumer buys a product, where does the data goes once the device “reads” his/her activities or preferences? How is Google—whose core business is selling advertising—planning to use the information it captures through Nest’s thermostats? How is Apple going to use health data collected through its app store? Traditionally, ICT companies have approached innovation from a perspective of “making things happen.” In most cases, entrepreneurs (and makers) design and develop products without incorporating security and privacy concerns until late in the process. The traditional approach is to find the user’s “point of tolerance”—people will use a technology as long as the perceived benefits are greater than the risks. Frameworks like Privacy by Design are not necessarily new in the world of software design. 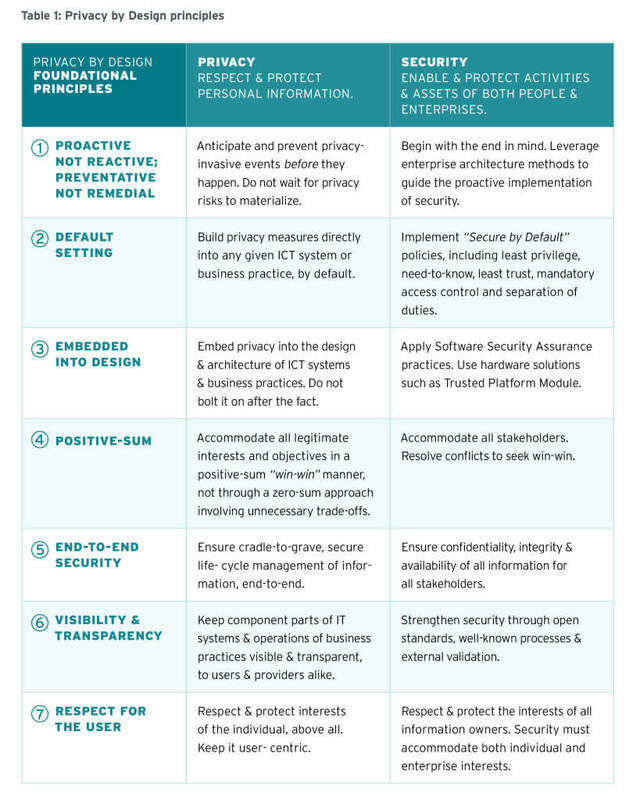 Traditionally, designers have considered privacy and user safety as main constraints for product development. Most of the makers building IoT prototypes and the entrepreneurs outsourcing their code to third parties do not necessarily rank privacy and security high in their product or business development strategies. Security consultants are not traditional members of a startup’s staff or supporting relationships, unless the product requires higher levels of security to appeal to customers. Financial apps, for example, require high levels of security and privacy; otherwise users would not trust them and would be more likely to reject them. In most other cases, though, security tends to be an afterthought. The IoT will have a great impact on security strategies and practices. As Gartner points out, “IoT security requirements will reshape and expand over half of all global enterprise IT security programs by 2020 due to changes in supported platform and service scale, diversity and function.”13 As we have seen here, it is not yet clear what challenges the IoT will create in terms of privacy and security, or what challenges companies (including startups) might face. But one thing is definite: Businesses need to scale security governance to deal with all the sensors, monitoring systems and M2M communication devices that will join the ecosystem. Despite IoT unknowns, today it is possible to start creating products that would satisfy minimum levels of security—or the type of basic security we have learned from developing the web. In a presentation at the Amsterdam GOTO Conference in June 2014, Mark Stanislav, Security Project Manager at Duo Security, presented some basic rules for creating secure IoT solutions. The conversation around security in an IoT era is permeating other professional fields. In April 2014, a group of designers got together in downtown Toronto for a discussion about the Programmable World. Matt Nish-Lapidus, Design Director at Normative (a design shop in Toronto), opened the evening discussion with a short presentation introducing the idea that we live surrounded by a network of machines that tracks everything. He argued that this network is making “design decisions,” in the sense that some interactions are hidden from users and therefore the users can’t take action to control the flow of information. “We put stuff into the world but we don’t really think about its impact. And we help create a certain culture around it,” he said. Startups tend to create products and business models first, and think of the impact of those creations later. And users, traditionally, have willingly accepted trade-offs regarding privacy or security when the perceived benefit of using a particular product is bigger than the perceived risk. In this sense, the IoT might offer us a great opportunity. Users will probably feel more inclined to adopt technologies that do not put their safety or security at risk. Certainly, embedded security for heart monitors is an essential requirement that users will demand before adopting new technologies. But we can argue that security for other type of products can also provide the edge a startup might need to distinguish in the market. For example, after Edward Snowden argued that Dropbox was “hostile to privacy”, Spider Oak , a competing company, saw huge spikes of visitors and sign ups16 a sign that users do care about privacy and security. Similarly, users will not appreciate waiting for crucial updates—for example, to the system that will help them avoid an insulin overdose or to the monitor that controls their home’s chimney, which might keep the house from burning down. These examples, the type of solutions that require embedded security and privacy might offer a great starting point to analyze and identify the new security and privacy requirements of the physical web, and also offer a glimpse into the market-driven security of tomorrow. 4. The Internet of things (to be hacked). The Economist. 7. 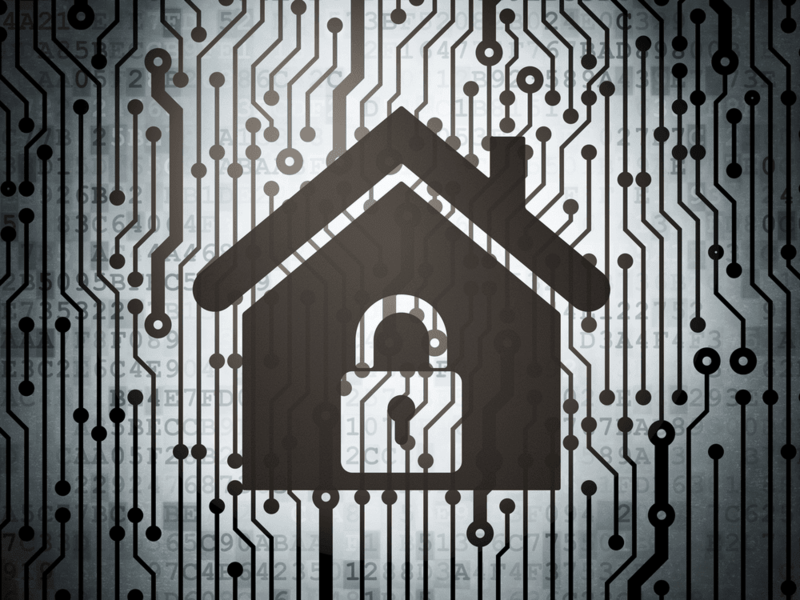 M2M and the Internet of Things: How secure is it? ZDNet. 11. Vermesan O and Friess P (editors). (2013). Internet of Things: Converging Technologies for Smart Environments and Integrated Ecosystems. 13. Gartner. What securing the Internet of Things means for CISOs. 15. Gartner. What securing the Internet of Things means for CISOs.